Porcupine vehicle added to game. Porcupine skins and Mastery skins added to game. Vehicle health and shield ratio rebalanced. Now vehicles will have unique health and shield quantity values. Fixed issue where players were unable to progress into Tutorial 2 when playing in German, French, Italian or Polish. Crash fixed when navigating the Collections menu. 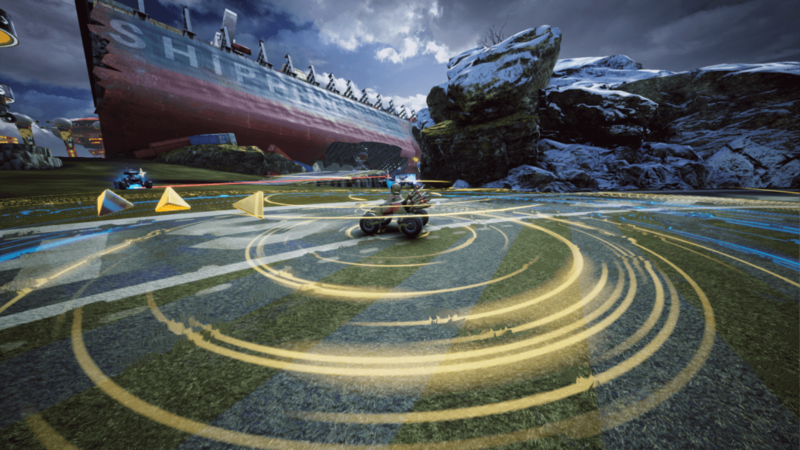 Blurred wheel effects causing issues with wheels have been temporarily removed until they have been fixed. Text strings fixed for Boosts. Fix for camera disconnecting from player vehicle. Fix for HUD not appearing after late-joining into a match. Fix for Tiny Giant skins being swapped in Collections menu. Fix for shotgun vehicles (Vampire and Fortress) not dealing damage to balloon weapons. We are aware of a bug on PS4 that is preventing the trophy “Showroom Sheen” from being correctly awarded to players when buying certain skins from the store. We are currently investigating the root cause of the issue, along with which skins are affected. We’ll keep you updated on our progress. Game registers input when the Options menu is open during a match. Broadcaster controls are inverted when locked on to a player. There are some missing SFX when navigating the Hall of Champions menus. Multiple text strings throughout the game are not localised.